Although no federal laws demand businesses give employees time off to vote, many states do have specific requirements. State laws often regulate the amount of voting time you must give employees, if the employee must be paid, whether advance notice must be given by the employee and if you can specify the time the employee takes off to vote. 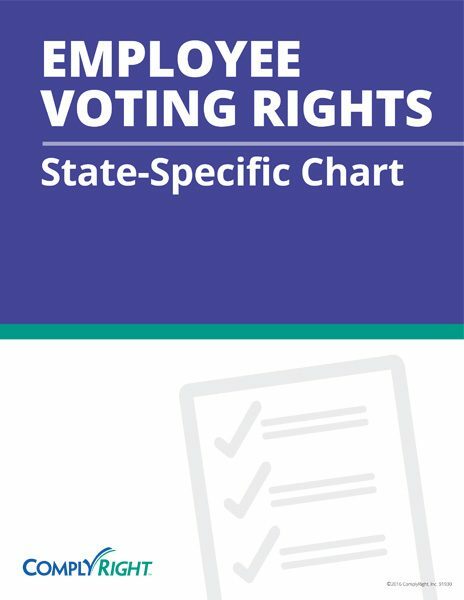 This chart details employee voting rights by state. If your state isn’t included, there are no specific guidelines you must follow. Please enter your your first name. Please choose if you're a preferred partner. Your download should start momentarily in a separate window. If it doesn't, please click here.